Curious horses near the ruins of Saint Birgitta's Chapel, Oland, Sweden. 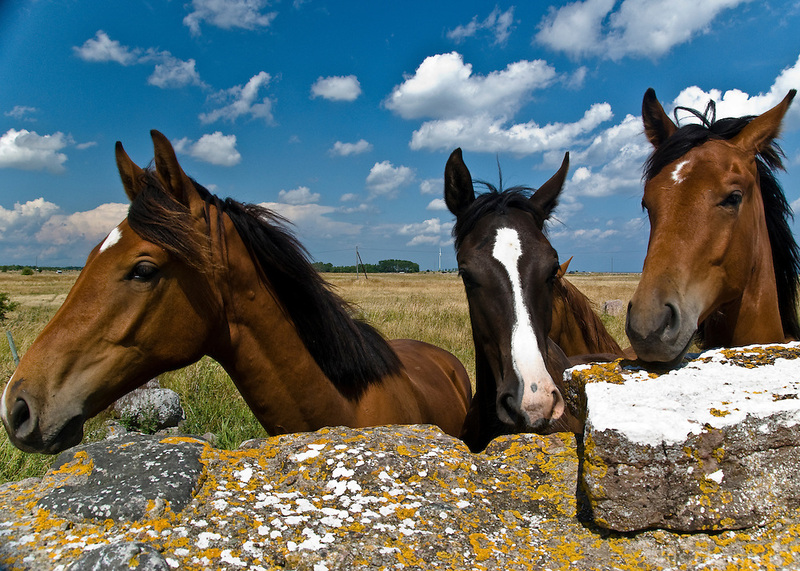 Curious horses wander over to a stone wall that is part of the ruins of Saint Birgitta's Chapel at Kapelludden. This wetlands area is a promontory that lies four kilometres east of the village of Bredsättra, which lies on the east coast of the Swedish island of Öland.